Any lithium or lead acid, deep cycle or starting batteries can be recharged quickly and safely with and ALTEN Battery-Charging DC Generator. 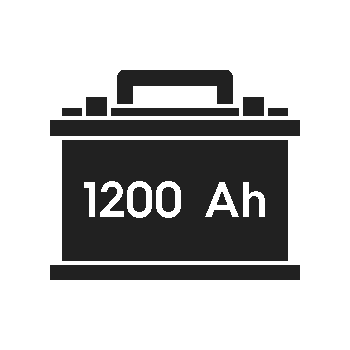 Your batteries' state of charge are constantly monitored by ALTEN's control system, only when batteries discharge below a safe level, the ALTEN P2 generator automatically starts to recharge your batteries, while providing power to DC loads. Due to it's designed intermittent operation, run time is substantially less compared to traditional AC generators or APU's. The ALTEN P2 is designed to run on either propane or natural gas.